Spend a lively weekend painting from a clothed model, exploring the drama and colour of pattern as a backdrop to a portrait. Suitable for beginners and those who wish to bring energy into their portraits. The course is taught by award winning artist Oliver Bedeman, who brings his strong colour sense and narrative to the historic canon of portraiture. Over the two days you will be given demonstrations in how to construct a picture, the principles of oil painting and an insight into Oliver’s techniques. The rest of the weekend will be working towards producing a canvas with your tutors’ guidance, ready to hang on your wall! A selection of oil paints will be available on the day, but please bring any brushes or oil paints you would prefer to use. Working from a single, simple pose. The day will start with 30 min demonstrations followed by 20 min warm up exercise. Short demonstrations throughout the day with plenty of time for you to work on your own piece. Continue to develop your own portrait. Demonstrations and guidance provided by Oli as and when needed. Oil paints in a range of colours. Brushes and other materials will be available but please bring a selection of brushes and any oil colours you are especially keen to use. Ready-made, clear primed canvas which can be painted straight onto or white primed. Ready to hang once fully dried! please feel free to bring a selection of brushes and any oil colours you are especially keen to use. Oliver Bedeman is an artist based in Wallingford, and was shortlisted for the 2018 BP portrait award and the 2018 Columbia Threadneedle Figurative Art Prize. He has previously taught life drawing at the Royal Drawing School and on their outreach programme across London. 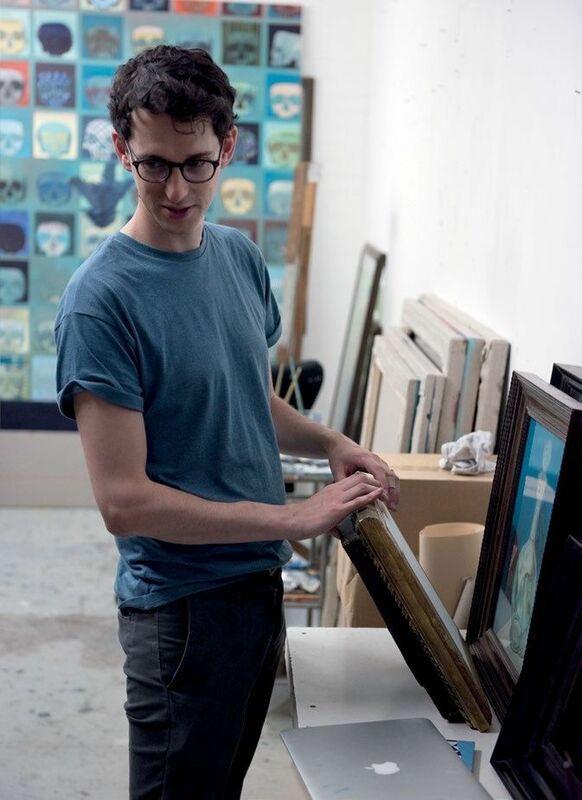 In addition to painting on canvas, Oliver also specializes in reverse oil on glass technique, also known as Verre Églomisé or Hinterglasmalerei. Fingers crossed he will teach this at a future course! Click here to look at more of his work. With my insights and tips to simplify the painting process, lose your inhibitions with this colourful and practical portrait workshop!